Why “Sunny Came Home” is the ultimate Pandora station. I’m not the biggest fan of Pandora. Usually, I like to have more control over what comes out of my speakers than Pandora can give me. I’ll start listening to Death Cab For Cutie Radio and a song by Pearl Jam will come on; it just kind of throws off my flow. However, I found one Pandora station that almost never disappoints. 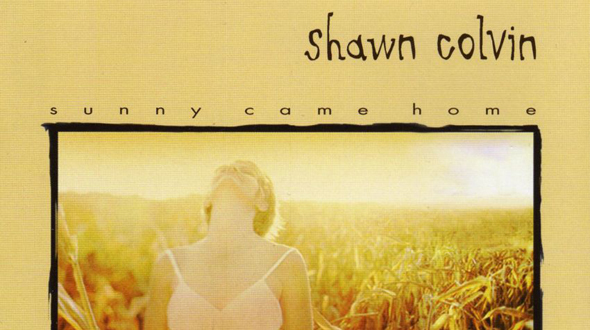 “Sunny Came Home” was a one-hit wonder, in every sense of the word, from Shawn Colvin that was released in 1997. I say it’s a one-hit wonder because not only could you not name another song by Shawn Colvin, but you most likely thought this song was sung by someone more well known during this era like Paula Cole or Sixpence None The Richer. Believe it or not, the song reached #1 on the Adult Top 40 Chart in both Canada and the US and reached #7 on the Billboard Hot 100. No band screams 90s Alternative as much as the Goo Goo Dolls. Many of their songs from Dizzy Up The Girl are still well-known and played today, including “Iris,” “Black Balloon,” and “Broadway.” Somehow Pandora also knew “Slide” is my go-to karaoke song. TEB is so memorable as a band from the 90s that people still flock to see them today. Even though they have released two full-length albums and an EP in the 2000s, they’re still most remembered for their self-titled album in 1997 and Blue in 1999. Dido may not have been a tour-de-force in the US when she released No Angel in 1999, but after a year or two she quickly became on of the most well-known singers internationally. There are certain songs that scream ‘epic’ when they come on, and it’s hard to deny “Bittersweet Symphony” that status. It’s probably the strings – they make everything epic. Yes, Rob Thomas actually had a band when he wasn’t making Christmas songs and playing with Santana. “Real World” and “3AM” were the two powerhouses off their debut Yourself or Someone Like You in 1996. There’s something about Rob Thomas’s voice that just belongs in the 90s. This is probably the male equivalent of “Sunny Came Home.” Bachman had no other hits besides this, and while almost anyone around during the 90s would know this song if they heard it, I’d bet a large amount of people don’t know Tal sang it. Although this song kind of seems like it was from the late 80s (which is probably due to the fact The Cardigans were Swedish), this song came out in 1996. Not only did it influence the music industry, but it was also on the soundtracks for both Romeo + Juliet and Cruel Intentions. I’ll be honest: I was almost certain this song was sung by Blue’s Traveler, another 90s band that is featured prominently on “Sunny Came Home” radio. Regardless, it screams 90s the way Hootie and the Blowfish scream 90s. I always thought this song was kind of ridiculous when they played it nonstop in the 90s, but I almost always find myself singing along when it comes on in today’s day and age. Basically, it’s a timeless classic. This was actually the song that was #1 on the Adult Top 40 right before “Sunny Came Home,” so it’s fitting that it came on the radio. Although my favorite song by them is probably “The Difference,” this one holds it own. Although Fastball had three albums come out in the 2000s, it’s hard to imagine they actually had any songs on them since I think it’s physically impossible for them to exist outside the 90s. My fact to back this up is that their song “Sooner or Later” was featured in the 1998 Disney Channel Original Movie Brink. Basically, that cements them in time. I’m going to admit something here: this may be on my list of Top 10 Favorite Songs Of All Time. I’m a sucker for it. Not only is it the perfect mix of sentimental and rock-outage, but it’s the theme song of She’s All That, which is my favorite movie from the 90s. Game, set, and match. As you can see, “Sunny Came Home” takes you back to a simpler time in life. A time where no one knew what dubstep was and “Adult Alternative” was the music of the future. While the music landscape may be very different today, this is a surefire way to go back to a simpler time in music and just enjoy life with your Pokemon cards and Tamagotchis. I definitely thought “Roll to Me” was either sung by Blue’s Traveler or Hootie. Thanks for clearing that up. I would have liked to see Donna Lewis’s “I Love You Always Forever” make the list, but it would be hard to find the room among these champion selections… especially “Where Have All the Cowboys Gone”. “One of Us” by Joan Osborne was also a blast. Let me know if that shows up upon future listens. I am getting bored at work today and decided to try this search out. I got Linger as my first song! I think you found something here. You used the word “scream” 4 times….